KATINGAN - Happiness emanated from the look on the faces of the residents of Baun Bango Village, Kamipang District, Katingan District, Central Kalimantan who were present at the inauguration of the One Price BBM at the Compact Gas Station in their area, Monday (12/11). Obviously, because all this time the access to get fuel is quite difficult and even if there is available the price is expensive. "Before this (Compact Gas Station), we had to cover a distance of about 10 km to buy gasoline at the gas station. Finally I chose retail , the price was Rp 10,000 a liter," said Darwis (55 years), one of the residents who attended the inauguration. "Thankful, with the existence of this gas station, this is make easier for us, very helpful for small communities," said Darwis. 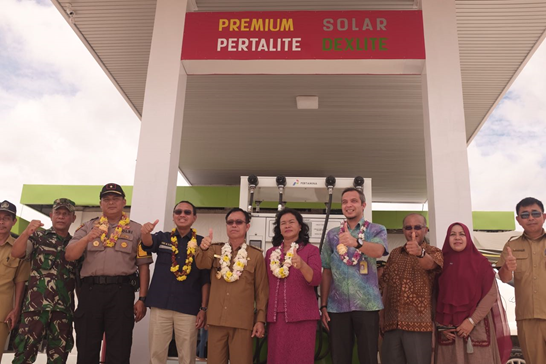 The inauguration of the Kamipang gas station was carried out by the Special Staff of ESDM Minister Hadi M Djuraid along with the Marketing Branch Manager of Kalbarteng PT Pertamina (Persero) Teuku Johan Miftah, the Regent of Katingan Sakariyas, witnessed by ranks of Indonesian Army (TNI) and Republic Indonesian Police (Polri), as well as community leaders in Katingan Regency and local residents. "Through the Fuel and Oil (BBM) One Price program, the Government and Pertamina are committed specifically to the 3T regions (outermost, formost and underdevelop) not getting left behind, can enjoy fuel at the same price as in the city," said Special Staff of the Minister of Energy and Mineral Resources, Hadi M Djuraid. his remarks. He revealed that until 2019 there will be 160 One-price Fuel and Oil (BBM) points. "The presence of the One Price Fuel and Oil (BBM) will also help push the targets and programs of the Regional Government, absorb labor, improve the economy of the community. The multiplier effect is very much," said Hadi. ee this program. "Let's take care, maintain, secure together, so that the goals are achieved and not used by certain parties to take advantage," said Hadi. 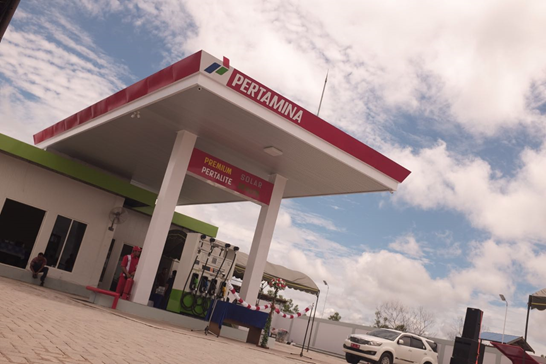 Meanwhile, Marketing Branch Manager of Kalbarteng PT Pertamina (Persero) Teuku Johan Miftah said that this Compact Gas Station was the 116th point of the One Price Fuel and Oil (BBM) built by Pertamina, along the 3T area. " Fuel and Oil (BBM) is supplied from TBBM Sampit, which is 160 km from here," said Johan.